I must apologise to the residents of ‘the old village’ area of Portslade for I am about to spoil your secret. Easthill House, Loxdale, Portslade Lodge, Portslade Manor and Whychcote seem to be forgotten amongst the bustle of Brighton yet these magnificent mansions relax behind their flint walls, happy that they’re now free to age gracefully with threats of redevelopment now focused on other areas of the city. The old Portslade Manor was demolished some time before 1840 and was a Norman house dating back to the 12th century. The oldest recorded owner is the Earl of Surrey who gave it to his illegitimate son, Rainald de Warenne. Such manors are extremely rare in this country so the ruins are of national importance. They are a Scheduled Ancient Monument and a Grade II* Listed Building. The ‘new’ manor on Drove Road, built in 1807, is a bow fronted Georgian property with an unpainted stuccoed façade and is situated next to St. Nicolas’s Church and the old ruins. The building was privately owned until 1904 when the nuns of the Order of the Poor Servants of the Mother of God, whose benefactor was a Miss Kathleen Nelson, took up residence and the house became known as St. Marye’s Convent. It became a home for women with learning difficulties during the 1960s and there were over one hundred women in residence in 1972. 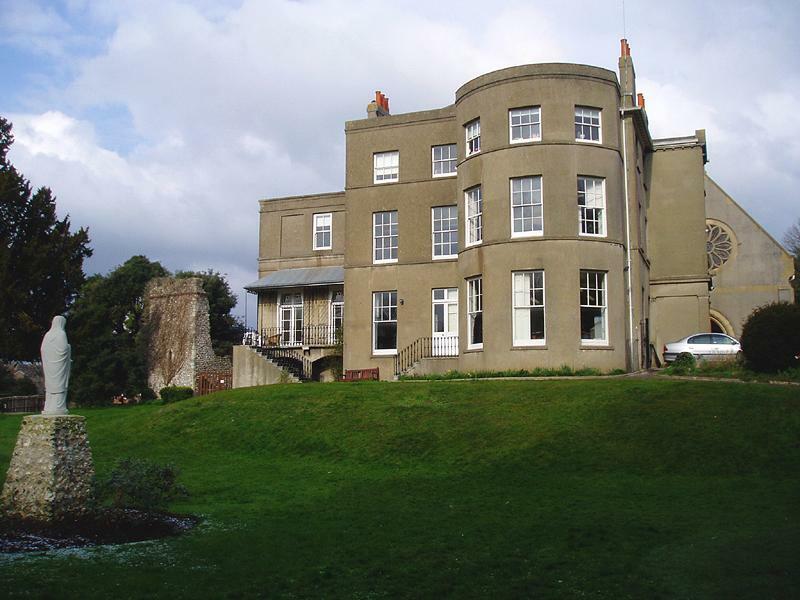 The number of nuns gradually fell and the building was sold to Sussex Emmaus in 1996 for around £500,000. The grounds are surprisingly extensive for a town centre site and the nuns’ graveyard and wildlife sanctuary, reached by an under-road tunnel, are particularly fascinating. Emmaus (named after the town where two disciples met the resurrected Christ and received hope and purpose) is a charity that provides work and a home for the long-term homeless and unemployed. There are currently around forty residents of the centre and jolly nice they are too. The café and giant second-hand furniture warehouse are definitely well worth a visit. I love the place, but then again how can I resist a decent fry-up and furniture bargain? Sorry again Portslade, for spoiling your well-kept secrets.